Bring smiles on the faces of your dear ones with this gift of Breathtaking Leather Hand Bag in Brown Color and make your bond stronger. 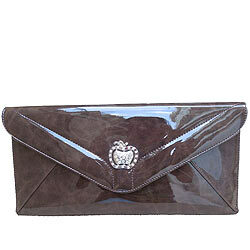 It is a brown color bag with Silver metal fastening Clasp. The bag is made of good quality leather.